As the long winter evenings draw in and the festive season approaches, Mansion Poker is launching a holiday period tournament schedule to help lift the seasonal spirits. Starting in early December and running for the entire festive period, Mansion's Poker room will be adding a massive $250,000 to the prize pools of their regular tournament schedule. The added value bonanza starts on Monday the 4th of December with $5,000 added to the prize pool for the daily $50 + 5 event. Mansion Poker will continue to boost the prize pool with $5,000 added every weekday for the remainder of the promotion. Saturdays will see $10,000 added to the regular $100 + 9 tournament and Sunday's $200 + 15 will see an amazing $20,000 in additional prize money donated by Mansion every weekend for the length of the promotion. The promotion will culminate on the 1st of January with Mansion adding an astonishing $30,000 to the prize pool for a special $300 + 20 competition to be run on New Years day. The prize pool for this amazing tournament bolstered by Mansion should be more than enough to cure any after effects caused by seasonal excess the night before! Mansion Poker is also gearing up for the Aussie Millions qualifier on the 3rd of December with no fewer than seven $14,000 prize packages being awarded to the Southern Hemisphere's richest poker event - the annual 2007 Aussie Millions held at Melbourne's world renowned Crown Casino. Each $14,000 Package includes two tournament entry fees at the Aussie Millions event, the AUS$1,650 Feature Event and the AUS$10,500 Main Event. As well as 12 nights' accommodation at the Crown Towers and $2,500 cash to spend towards flights and insurance. Satellites to the main qualifying tournament each with guaranteed seats are running daily with entry fees available for as low as $11. 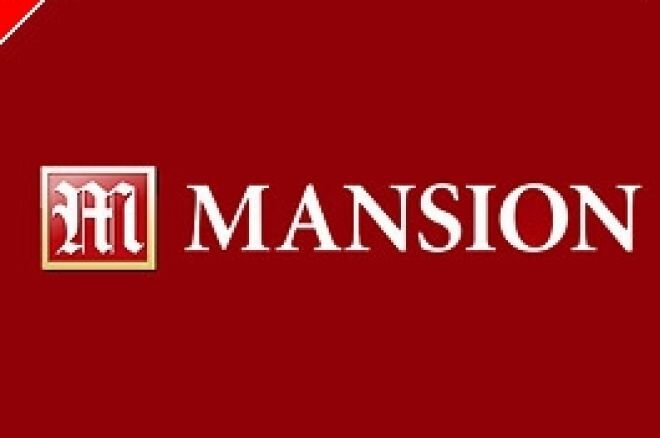 With added value tournaments and the trip of a lifetime on offer Mansion Poker is offering a tremendous schedule of events to help see out the old and bring in the new with style.